Home › FAQ › What is the Difference Between a Subsidized and Unsubsidized Loans? What is the Difference Between a Subsidized and Unsubsidized Loans? Students apply for financial assistance for college often want to know the difference between subsidized and unsubsidized loans. 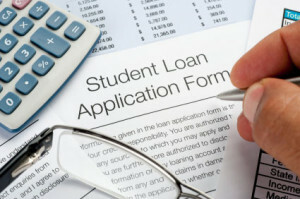 Loans are the most common type of assistance offered to students and their parents. While you can only borrow a certain amount as a new student, the amount you can borrow increases with each passing year. Regardless of how much you can borrow, you may want to look at the differences closely before relying too heavily on student loans. You cannot simply enroll in college and expect the school to give you money. Several months before applying, you must complete the Free Application for Student Financial Aid. If you are a dependent of your parents or guardians, the government asks for their financial and income information to determine the amount of need that you have. If you are married, in the military or legally dependent, you can answer with your own income information. The amount of aid you receive varies on how much money you have available for schools. When looking at the difference between subsidized and unsubsidized loan in financial aid, you should look at subsidized loans first. According to Federal Student Aid, which is an office of the United States Department of Education, a subsidized loan is a loan that comes directly from the government. The school you attend determines how much you can borrow based on the financial need you demonstrate. The government agrees to pay the interest that accumulates on the loan as long as you remain enrolled full time in school. You begin paying back the loan six months after you graduate from school, drop to a part time schedule or leave school. While subsidized loans are only available to students enrolled in undergraduate programs, unsubsidized loans are available to both undergraduate and graduate school students. The main difference between subsidized and unsubsidized loan in financial aid is that you are responsible for paying for the interest that accumulates on an unsubsidized loan. You can begin making payments on those loans while still in school, which will reduce the total amount you owe after graduation. Most students can borrow more in unsubsidized loans than they can borrow in subsidized loans, and some graduate students may find that they can borrow $15,000 or more each year they remain in an accredited degree program. If you are a part time student, you will find that you do not qualify for student loans from the government. You do, however, qualify for alternative student loans. Also known private students or private loans, these loans are available from lenders to students who have a good credit history and a high credit score. You can also apply for a loan with a cosigner. Some students will also want to look at other types of financial aid other than loans, including government grants, private grants and scholarships. More and more students need financial aid every year to pay for tuition, textbooks and other college expenses. Many students qualify for subsidized and unsubsidized student loans from the government, but the main difference between subsidized and unsubsidized loan in financial aid that students show know is that they are responsible for the interest that accumulates on an unsubsidized loan.